We may or may not have been paid in beer for this project. Custom web site with mouthwatering restaurant menus. 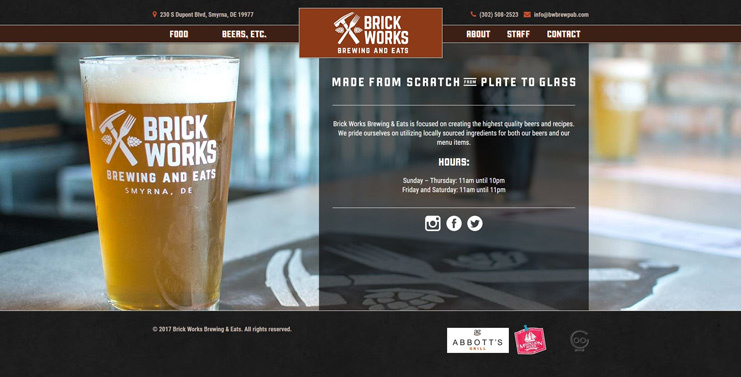 Using Brick Works' brand new logo, we created a sophisticated website that will appeal to their target audience. We also included social media integration and an easy-to-update custom menu.